I don’t remember the last time I saw a show that energized the audience as much as PIPPIN, playing through the end of the week at the Aronoff Center. From the very beginning (the lack of a curtain speech might have actually helped), this show is full of life, Fosse-inspired choreography, and circus magic. I truly did not expect to enjoy it so much. Essentially, PIPPIN is the story of a young prince and his yearning for fulfillment. The story is loose and not all that great. But you don’t go see PIPPIN for the story. At least I didn’t focus here. Instead, the spectacle and pageantry of the production is more than worth the admission. Brian Flores plays the title character and brings to the role a sense of wonderment. He has a really nice singing voice, as well. Gabrielle McClinton is the “Leading Player,” and her buff physique, physicality of dance, and overall stage presence carries the show from start to finish. The original Pippin (from the Broadway cast) is back as “Charles,” the Kingly father. John Rubinstein is outstanding in his role and generally seems to be enjoying himself. Priscilla Lopez, another Broadway diva, steals the first act as the grandmother, “Berthe,” and it was a pleasure to see these talented veterans touring across the country. Ensemble members including Kate Wesler (2014 CCM graduate) all support the rest of the main cast (a stunning Sabrina Harper as “Fastrada,” Bradley Benjamin as “Catherine,” Erik Altemus as “Lewis,” and Jake Berman as “Theo”) very well. There’s no weak link here. The show does seem to lose a little steam in Act Two but that’s no fault of the performers. There’s a darker tone, less action on stage, and I found myself longing for more of the energy of Act One. That said, the dark and unusual way this show ends does is haunting enough to be quite memorable. 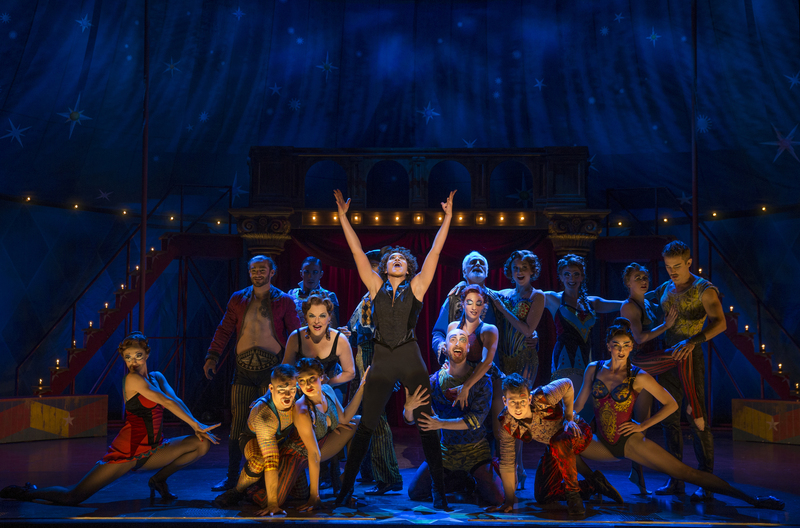 PIPPIN is surely a highlight of what looks to be an incredible season of Broadway Across America at the Aronoff Center. I strongly encourage you to see it. PIPPIN runs through Sunday Click here for more information.